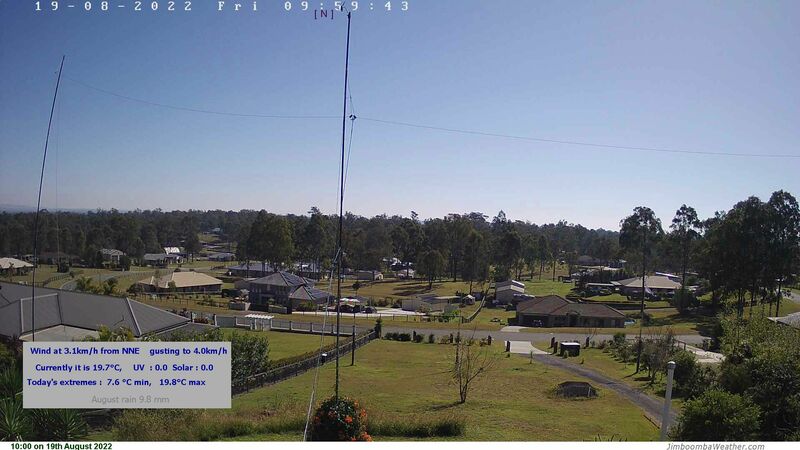 Jimboomba Weather / Logan Village / Logan Weather has been in operation since early 2000, from the simple interest in finding out exactly how hot or cold it got in Logan Village , and now in Jimboomba. Quite a large number people accept the idea that the temperatures of Ipswich reflect the temperatures here, and this appears to be mostly true according to the the figures obtained from the weather stations we have used here. 12 kph, gusting to 27 kph. Chance of precipitation less than 20 percent. east-southeast around 4 kph in the evening, becoming south after midnight. north-northwest around 7 kph in the evening, becoming southwest after midnight. to 6. Wind south-southeast around 15 kph, gusting to 32 kph. Sunday (28 Apr): Sunny. High 27. UV index up to 6. Wind southeast around 10 kph. kph in the afternoon. Chance of precipitation less than 20 percent.